2015 Victorian CANstruction – Your school can make a difference! Schools are invited to participate in the 2015 Victorian CANstruction project, a unique philanthropic, artistic, engineering project supported by GASCO. This project enables teams of up to 10 students the opportunity to learn more about Maths and Science principles which are then applied to an artistically engineered design. 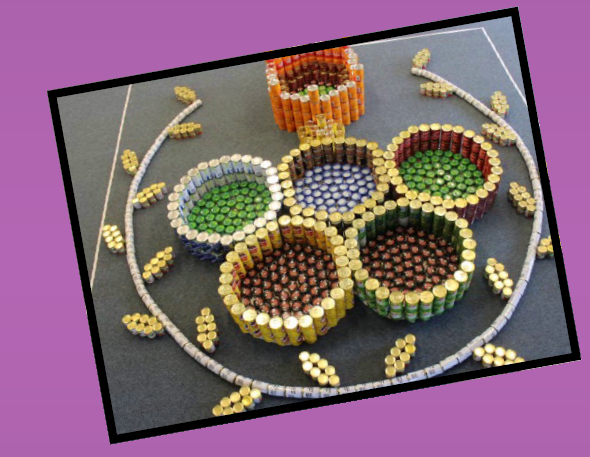 Student teams from Primary (Grade 5-6) and Secondary Schools (Grade 7-10) work with teachers and mentors from the school community to turn full cans of food into amazing works of art. This high level thinking project provides student teams with a real life opportunity to predict, theorise, plan, design, argue, prioritise, create, construct, prove, justify and evaluate. It also promotes student philanthropy and a better understanding of the International Day for the Eradication of Poverty 2015. School communities are encouraged to help teams to collect at least 500 cans per build. 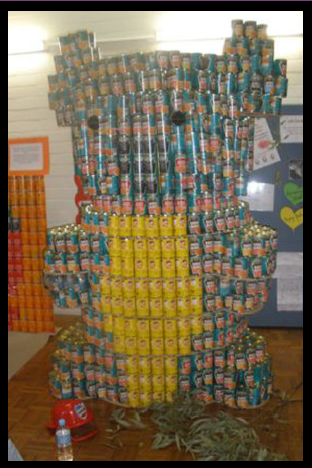 CANstruction designs are first built at your school so that your community can participate in and enjoy the experience and then these designs are rebuilt at Bayswater West Primary School on Wednesday 14th October 2015 on BUILD OFF DAY. 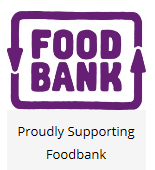 All food that is collected and used in the project will be donated to Foodbank our charitable partner, to support individuals and families in need. Visit CANstruction International website to get canspiration. 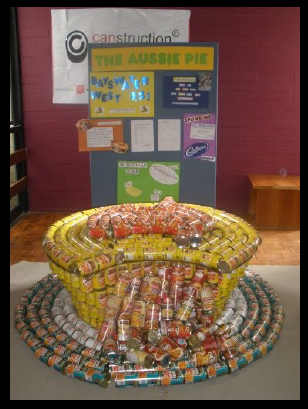 Visit http://www.baywestps.vic.edu.au/special-projects/canstruction/ to register and for more details.